The Earlies follow their critically adored 2004 debut These Were The Earlies, with the release of their second album, The Enemy Chorus. Produced by The Earlies and Tom Knott and recorded in both the middle of America and the North of England (Texas, Manchester and Burnley respectively) The Enemy Chorus builds on the approach of their acclaimed debut These Were The Earlies with a rich and expansive sound, textured with an original progressive edge. The record received deserved praise being lauded as “intergalactic” and “beguiling” and described as “a work of baroque detail”. The album went on to receive a 10/10 rating in the ever so selective and discerning NME quite simply because there are not many bands that evade categories quite like The Earlies. Sometimes they float, sometimes they soar… their purpose always to progress forward. Their second album, The Enemy Chorus does just that but with a little more gusto! With the band describing it as “heavier and harder than the last record” it moves forward with a bit more purpose. Standout tracks such as Burn The Liars, Foundation And Earth, Enemy Chorus and When The Wind Blows evoke elements of The Flaming Lips, Spiritualized, Brian Wilson and Sigur Ros, yet the Texan/Mancunian quartet remain resolutely individual. New track No Love In Your Heart is winning over both the cliques of both the folk fratenity and dance denisons and is currently being premiered on their Myspace site. 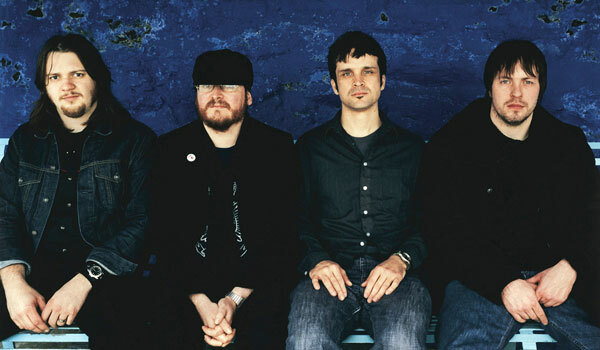 Emerging in December 2003 with their Names debut release EP4, The Earlies quickly became heralded as one of the most exciting new bands of the year. Sporadic but awe-inspiring live performances boosted their reputation further before These Were The Earlies really put them on the map. NME, Uncut, Q, The Observer and The Independent were amongst the many publications that rated the album as one of the most vital sets of 2004. Since then thing have moved forward at an alarming rate, The Earlies have established a reputation as a sensation on the festival circuit with Glastonbury, The Big Chill and Bestival sets all winning further acclaim. They also collaborated with others artists; most notably as backing band on King Creosote’s KC Rules OK debut as well as with Plan B on a special version of his single Sick 2 Def. The Enemy Chorus represents a chance for fans to see the next step in the progression that an already much-loved band has made. No matter what time zone they find themselves in it appears The Earlies cannot put a foot wrong.